We have put extreme effort to recruit and train the absolute best technicians in the Industry. As a matter of fact, many other area HVAC contractors call us to help them when they can’t figure out complicated problems by themselves. 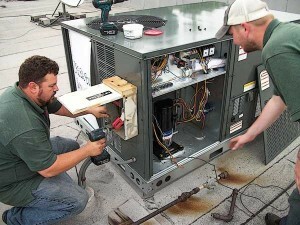 You will recognize this for yourself when you meet any member of our commercial HVAC service & repair staff. Although our technicians specialize in heating and A/ C, they are skilled enough to work on 500-ton chillers, ice machines, and process chilling equipment. Most of our competitors in the Dallas – Fort Worth area lack the expertise to accomplish this. Our service department repairs all brands of equipment and is highly skilled and qualified to diagnose and solve your indoor comfort problems. We have a fleet of dispatched and fully stocked service vans available to respond to your commercial HVAC service & repair requests. 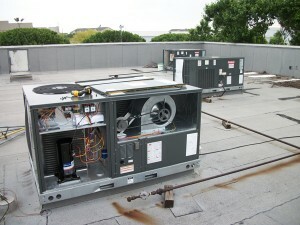 We can service and repair all major brands of HVAC equipment as well as some not so major brands and varied types of equipment related to cooling. When you need the right commercial air conditioning company, call Max Mechanical Air Conditioning & Heating. Schedule a service appointment online or call 817-459-4100 or 972-233-1637.